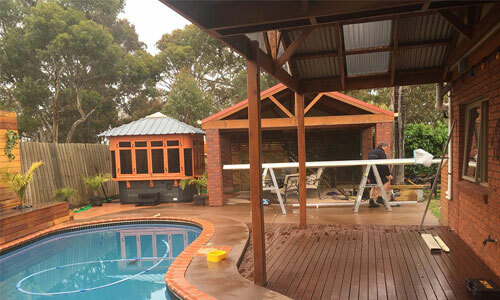 For homeowners wanting to take full advantage of the Australian climate, a well-designed and comfortable pergola area is a must for homes across Melbourne’s metropolitan area and beyond. By letting the outdoors come inside pergolas are best enjoyed on a warm weekend afternoon and with a cold drink. Thanks to our experience and passion for delivering superior blind solutions for homes across Australia the team at Elite PVC has a wide range of high-quality and durable outdoor pergola blinds for your personal requirements, as well as cafe blinds, Ziptrak blinds and various other styles. Successfully blocking out harsh sunlight and harmful UV radiation our expertly produced selection of pergola blinds have been treated to survive and thrive in Melbourne’s unique and unpredictable climate, keeping you and your family protected from sunburn, rain, and the wind. Treated in weatherproof and corrosion-resistant PVC, our outdoor pergola blinds absorb and filter out sunlight wherever they are installed. When installed to your pergola, our blinds will seamlessly blend into the existing frame and structure of your pergola. Outdoor pergola blinds not only make it more comfortable for you to spend time on your pergola, but also prevents damaging UV rays from entering your home and causing your furniture to fade. Available in a number of shapes and sizes to suit your home’s unique requirements and dimensions you will be able to find the best blind that provides the highest level of shade and protection from our hand selected range of products. Elite PVC are even able to customise your outdoor pergola blinds to a great extent, ensuring you are completely satisfied with the final installation. To take full advantage of our wide-range of Melbourne-ready pergola blinds call us on 1300 358 782.